CARFAX One-Owner. 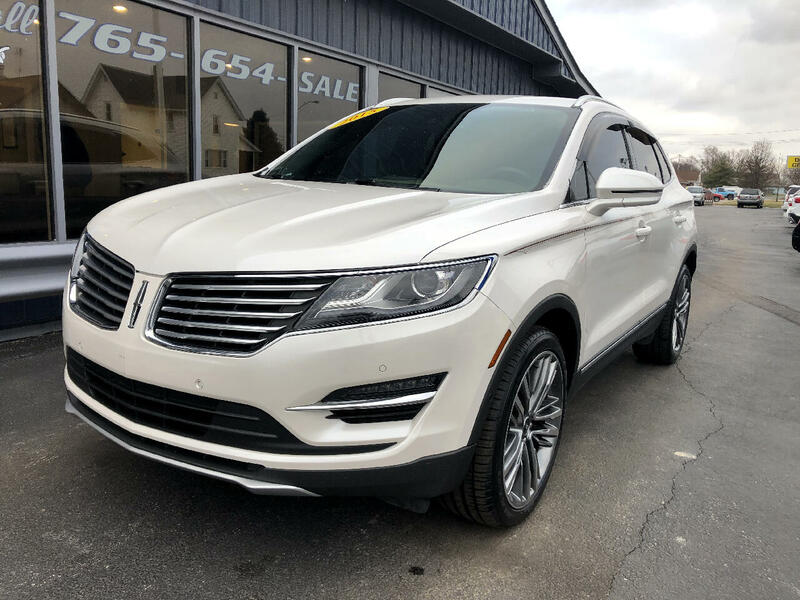 2015 Lincoln AWD MKC Reserve 6-Speed Automatic White Odometer is 12910 miles below market average! Bluetooth, Hands-Free, Backup Camera, Sunroof / PANORAMIC ROOF, Navigation, AWD/4WD, BEST VALUE AROUND! !, Automatic, Keyless Entry, Leather Seats, SUPER CLEAN! !, 4D Sport Utility, EcoBoost 2.3L I4 GTDi DOHC Turbocharged VCT, 6-Speed Automatic, AWD, ABS brakes, Compass, Electronic Stability Control, Front dual zone A/C, Heated door mirrors, Heated front seats, Illuminated entry, Low tire pressure warning, Remote keyless entry, Security system, Traction control. 18/26 City/Highway MPG Awards: * 2015 KBB.com 10 Best Luxury SUVs * 2015 KBB.com 10 Best Luxury Cars Under $35,000 * 2015 KBB.com 5-Year Cost to Own Awards PROUDLY SERVING CENTRAL INDIANA ( Frankfort, Lafayette, Crawfordsville, Noblesville, Lebanon, Indianapolis, Anderson, Fort Wayne, Elwood, Logansport and many others.) FOR OVER 30 YEARS! Selling used, Preowned and Certified vehicles some under 10k and under 5k. GM Ford Chrysler Dodge, Chevy Pontiac, Buick, Honda, Toyota, Nissan, Kia ,F150, Silverado and many more!! Some cars under 10k and even 5k.